SH - Discard and replace the handguard assembly (1) if the heat-shield is loose enough to rattle when installed on the rifle or it fails the inspection. Release takedown pins and open and separate receivers Hand check flash suppressor (1) for looseness on barrel (2), then hand check barrel for looseness on upper receiver (3). Check gas tube (4), forward assist (5), and rear sight (6) for damage. 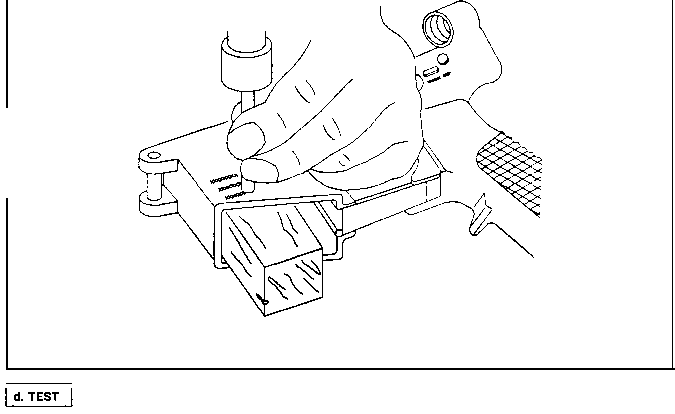 Using finger pressure, check the rear sight for firmness. The rear sight spring shall retain the rear sight in either position with Firmness. Check front sight post, plunger, and spring (7) for damage and corrosion. Clean and lubricate them (p 2-22). Check charging handle (8) and ejection port cover (9) for defects and proper function. Check sling swivel (10) and pin/rivet(11 ) for damage and proper function. D - If flash support or barrel are loose, evacuate to direct support maintenance. D - If barrel is loose on upper receiver, evacuate to support maintenance. SH - If damaged, evacuate to direct support maintenance. D - Charging handle (8) is defective. SH - Replace defective components as necessary.